Bold carvings compliment the rich fabric chosen from Tassinari & Chatel to upholster this handsome Boston sofa. 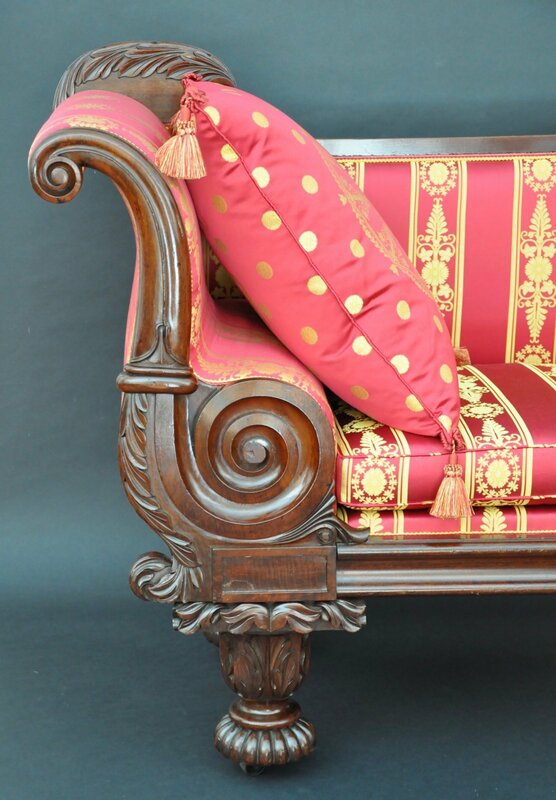 Foliate carvings top the arm while it scrolls to a shape that becomes like a bolster. The boldly carved legs are accented with large leaf carvings while the feet are finished with melon like details that partially conceal large casters.